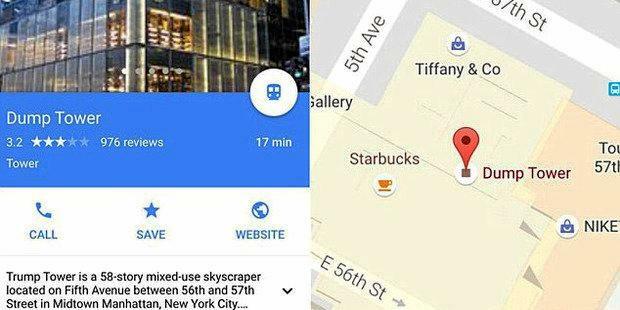 A HACKER has renamed one of US president-elect Donald Trump's buildings on Google Maps. An observant user of the mapping service spotted that Trump Tower in Manhattan had been renamed Dump Tower. Mr Trump, who has been using the Fifth Avenue building as his transition headquarters, has not commented on the hacking. A popular hashtag on Twitter during the contentious election campaign was #DumpTrump. Google did not immediately comment.